It’s fairly well documented that the most effective wellness efforts are often those that don’t focus specifically on weight. It may generally be healthier, both mentally and physically, to focus instead on trying to exercise more, trying to eat better, etc., and accepting any resulting weight loss as a happy consequence. But there’s nothing wrong with trying to shed a few pounds, and realistically most of us try to do it at one point or another. The problem is, it’s one of the most notoriously difficult challenges people face. One reason it’s so difficult is that people tend to get discouraged after an initial burst of success. 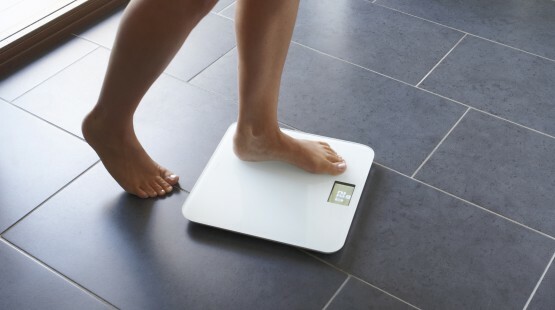 Writing about the 10 biggest weight loss mistakes, one contributor at Health.com pointed out that most people shed a lot of pounds in the first couple of weeks of a program. But this is largely a combination of carbs and water, combining to take a few pounds off right away, but setting a sort of artificial high bar for expectations. It’s only natural: if you drop five pounds in two weeks and then struggle to drop a sixth in the next week, you’re probably going to get a little bit discouraged. Avoiding this mindset is crucial to long-term weight loss success, and one way that some people look to do it – believe it or not – is by betting on themselves. The thought process is fairly simple. If you merely set a goal with nothing but your own desire to reach it on the line, it’s easy to walk away, or lapse, out of frustration. But when you really put something tangible on the line – in this case, actual money – you might find that it’s easier to motivate yourself to stick to a routine even after your initial progress slows. Occasionally, we hear some pretty dramatic stories about wager-inspired weight loss. For instance, it was only three years ago that a few news stories emerged about a guy dropping 100 pounds in the space of a year. That man won £5,000 on a £50 bet with a major British betting firm, and as it turns out he was inspired to place his bed when he read about another weight watching punter who had achieved similar success. Stories like these encourage us that there are success stories out there. But they also make the idea of placing an actual wager seem a little bit dramatic or even inaccessible. The average person isn’t exactly going to set up a personalized wager with a professional betting firm, after all. But now the average person doesn’t need to. Because it’s been confirmed in studies that money can actually be a very powerful motivator in weight loss, we’ve seen the introduction of diet betting sites that facilitate this type of effort. Platforms like Diet Bet and Healthy Wage, and to a lesser extent Pact, motivate users to reach their goals with real money on the line. And while there are social components to these sites, you can rest assured you aren’t booking yourself a future headline by wagering on your weight loss. Whether or not this is the right way to go about a weight loss effort is up to you as an individual. And again, sometimes it’s best not to focus on the numbers at all when you’re trying to get fitter. But if you’re curious about the idea, it’s at least a good idea to recognize that betting on weight loss has become easier, and has been proven to be fairly effective in many cases.